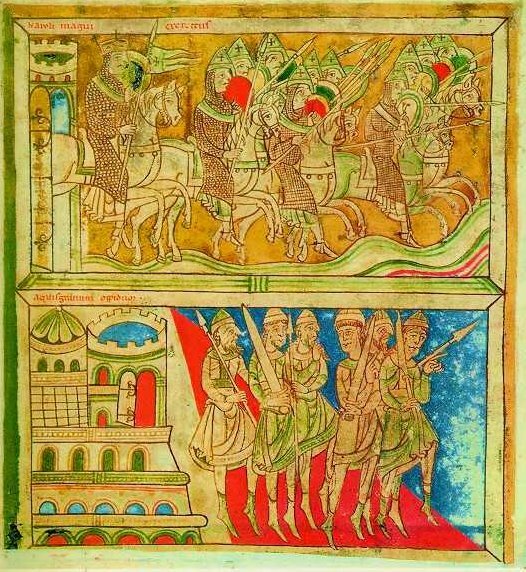 This week sees the beginning of the trial of José Manuel Fernández Castiñeiras, an electrician accused of stealing the 12th century illuminated manuscript from the Basilica of Santiago de Compostela. The Codex was taken in July, 2011 and was recovered a year later in the garage of Castiñeiras. The 11th Circuit has ruled that the objects brought up from the wreck initially code-named the “Black Swan” should be released immediately to the custody of Spain. In response Odyssey’s stock is dropping rapidly. In a press release Odyssey has said it will ask the full 11th Circuit to rehear the case en banc with the full complement of Federal Judges rather than the three judge panel which decided this appeal. So the World is buzzing with all the revelations, mundane and otherwise, offered by the release of diplomatic cables via wikileaks. This has touched all manner of foreign and diplomatic relations, even cultural property and heritage issues. The Guardian has reprinted and summarized a series of recent cables which detail meetings between US officials and Spanish officials between 2007 and 2010. The various positions and points of concern related here really don’t come as much of a surprise. What is perhaps heartening to note is the importance of these issues at the highest levels of international relations. Nations take these disputes very seriously. The Ambassador stressed the USG’s interest in direct discussions between the Spanish government and Claude Cassirer, the AmCit claimant of a painting by Camille Pisarro (“Rue St. Honore”) in the Thyssen Museum. The Ambassador noted also that while the Odyssey and Cassirer claim were on separate legal tracks, it was in both governments’ interest to avail themselves of whatever margin for manuever they had, consistent with their legal obligations, to resolve both matters in a way that favored the bilateral relationship. The minister listened carefully to the Ambassador’s message, but he put the accent on the separateness of the issues. Molina said that no Spanish government could return the painting (if this is what the claimant wants). To begin with, while the minister presides over the board that manages the Thyssen Museum’s collection, the minister could not oblige the board to return the painting without a (Spanish) legal judgment. The minister added that paying compensation, as the British government has reportedly done in a number of cases, also posed legal problems. Giles Tremlett, WikiLeaks cables: Art looted by Nazis, Spanish gold and an embassy offer, The Guardian, December 8, 2010, http://www.guardian.co.uk/world/2010/dec/08/wikileaks-us-spain-treasure-art (last visited Dec 9, 2010). 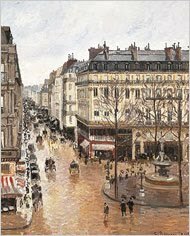 In September of last year the 9th Circuit held that Claude Cassirer can pursue a case against the Kingdom of Spain over this work, Rue St.-Honoré, Après-Midi, Effet de Pluie, painted by Camille Pissarro in 1897. In a profile of Cassirer in the L.A. Times, the 88 year-old argues the Spanish “have been most unfriendly, not cooperative in any way,” with respect to his claims for restitution. The 9th Circuit Court of Appeals will hear the appeal again en banc, with an 11 judge panel, sometime in the coming months. The work had been taken from Cassirer’s grandmother in 1939 before she fled Munich. The Spanish government purchased the painting in 1993 as a part of the Baron Hans-Heinrich Thyssen Bornemisza’s collection. The work has been valued now at $20 million. Spain paid the baron $50 million in 1988 to lease his collection for a decade, and halfway through bought it outright. The baron had designated Spain for his prized collection, valued at more than $2 billion, an apparently sentimental gesture honoring the last of his five wives, a former Spanish beauty queen. Thyssen-Bornemisza died in 2002. “The Thyssen-Bornemisza Collection Foundation thoroughly reviewed the complete historical record on Mr. Cassirer’s alleged claim and respectfully denied it,” said Thaddeus J. Stauber of Nixon Peabody LLP’s Los Angeles office, which represents the foundation. Carol J. Williams, Pissarro masterpiece travels a twisted history, L.A. Times, April 7, 2010. Cassirer v. Kingdom of Spain, 580 F.3d 1048 (9th Cir. 2009). The dispute between Odyssey Marine Exploration and Spain over a shipwreck which was sunk in the early 19th Century will now likely be headed for appeal. Federal District Court Judge Steven Merryday has issued an order that has adopted the Federal Magistrate’s Report and Recommendation. In his order Judge Merryday stated a separate opinion would “add only length and neither depth nor clarity (and certainly not finality) to this dispute.” Though this is a win for Spain, it also means the 11th circuit will now hear an appeal. Back in the Spring, federal Magistrate Pizzo held the Federal District Court lacked jurisdiction over the dispute and the property should be returned to Spain. As I wrote then, though Odyssey Marine attempted to hide the true identity of the wreck, initially code-naming the wreck the Black Swan, there was enough information to conclude the coins came from the “Nuestra Senora de las Mercedes”, a warship which was carrying treasure back from Peru when it was sunk by the British off the Spanish coast in 1804. Spain, soon declared war on Great Britain, a point which may be lost in all this talk of the treasure. This treasure was an important piece of heritage, and all the talk of Odyssey’s share prices, and the rich treasure haul shouldn’t distract us from why these objects are protected, and why Spain fought so vigorously to have them declared the owner.This latest development then is not terribly surprising. The case involves some complex issues of international admiralty law, and half a billion dollars in gold and silver coins. It should be a fascinating appeal, as the 11th Circuit will set a precedent governing how these salvors can explore and remove historical objects from the ocean floor. Odyssey Marine has a press release here. James Thorner, Odyssey Marine’s treasure tangle with Spain moves to appeals court, St. Petersburg Times, Dec. 23, 2009. Richard Mullins, Sunken treasure case headed to federal appeals court, Tampa Tribune, Dec. 23, 2009. "We actually invited the Spanish government to send Archaeologists along." So said Greg Stemm on the Today show last week discussing the ongoing dispute between Odyssey Marine and Spain. The interview was primarily an excercise in corporate self-promotion for the upcoming special on the sister network at 10 p.m. (ET) on Thursday, April 2, on the Discovery Channel’s “Treasure Quest.” Nonetheless there were some interesting comments made, though there was very little attention paid to archaeology or the importance of preservation of the site and the remains of the vessel. The odd thing about this dispute and the Today segment in particular are the insistence on painting the controversy in terms of pirates and buried treasure and other romantic ideas. The reality of underwater heritage is far mor nuanced and important. “The ship is the history and national patrimony of Spain, not a site that may be covertly stripped of valuables to sell to collectors. Odyssey was well aware that it is off limits,” said Spain’s American attorney in the case, James Goold. Odyssey, a publicly held company that is a leader in deep-sea archaeology and treasure recovery, found the vast trove on a 2007 expedition in what it says are international waters off Portugal and the Straits of Gibraltar. The coins were spread over an area the size of several football fields at the bottom of the ocean. After filling a chartered Boeing 757 with the coins and shipping them to Florida, Odyssey returned to the area to further investigate the site. There they were boarded by a Spanish warship, and the ship and crew were held for several days in a Spanish port. Stemm concedes that the treasure may have been that carried by the Mercedes, but said that the identity of the vessel has not been established. One difficulty in doing that is that the Mercedes was hit in its powder magazine during the battle and blew up, leaving little actual wreckage at the bottom of the ocean. Even if it was the Mercedes, Stemm said, that still does not automatically mean that Spain has sole claim to the treasure. Odyssey has argued in court that the Mercedes was carrying the treasure under contract with the merchants who owned it, and as such was acting as a merchant ship and not a warship. Stemm says that the original expedition was to an area where his company believed a number of ships had sunk over the years. He said Odyssey notified the Spanish government of its intentions to search the area. Author Derek FinchamPosted on March 31, 2009 Categories UncategorizedTags Admiralty Law, Odyssey Marine Exploration, Spain, Underwater Sites - "Black Swan"Leave a comment on "We actually invited the Spanish government to send Archaeologists along." Peter Devlin, Malcolm Cubin and Steve Russ, all commercial salvagers from Cornwall, were arrested in June 2002 on suspicion of stealing gold and diamonds from a sunken ship off the coast of Galicia, in northwestern Spain. The three faced prison sentences of up to six years each and heavy fines for theft and destruction of Spain’s cultural heritage. But at a court in Santiago de Compostella yesterday, they pleaded guilty in return for suspended sentences and a fine of €1,000 plus €2,500 costs each. Spanish police say they have confiscated dozens of suspected fake artworks by Salvador Dali that were to be sold in the town of Estepona. More than 80 pieces were seized, 12 of which might be genuine, but are on Interpol records as having been stolen in Belgium, France and the US. A fake 10ft (3m) Dali sculpture of an elephant was priced at $1.5m (£1.1m). Police have arrested a Frenchman who transported the pieces from France for the sale. He was not identified. The art includes sculptures, lithographs, engravings, cutlery and textile pieces. Police also uncovered “20 certificates of authenticity” for sculptures attributed to the Spanish artist. Police said their suspicions were raised because the Frenchman had not sought special security arrangements for the show. Dali died in 1989, leaving a multi-million dollar estate, the exact value of which is difficult to calculate partly because of the widespread existence of forgeries. Enter Odyssey, stage right, who has some pretty good attorneys by the way. They argue, (1) that there is no ship, and no proof that the Mercedes is where the coins originated. There were just a bunch of coins scattered about on the ocean floor. (In another part of the motion, Odyssey points out the coins were salvaged in an archaeologically-sound manner). Therefore, sovereign immunity doesn’t apply. They back it up with (2) even if the coins came from the Mercedes, they aren’t sovereign immune for a couple reasons. First, the Mercedes is not sovereign immune because it was not exclusively noncommercial at the time of its sinking (was carrying commercial cargo and passengers). Second, the specific journey the Mercedes was on at the time of its sinking was primarily commercial. Finally, most of the Mercedes cargo was commercially owned and therefore wouldn’t be sovereign immune. The parties are still at the Summary Judgment stage, in which Spain is essentially arguing the dispute cannot continue because Odyssey cannot win, even if the judge were to adopt Odyssey’s view of the evidence. The dispute may hinge on Spain’s ownership of a long-sunk vessel, and what activities it was engaged in hundreds of years ago when she went under. One policy to note, Odyssey has a vested interest in not undertaking a serious archaeological exploration of the vessel, as the more information they have destroyed, the harder it will be for Spain to establish its claim. Regardless of who wins the dispute, that is not a helpful policy.